“One of our main activities is the transfer of harbour pilots via helicopter in any kind of weather conditions 24/7,” explains Lars Hilgert, chief flight coordinator at WIKING. “Harbour pilots navigate ships safely in and out of German harbours. In most cases these pilots are brought onto the moving ships using the winch. This process requires the utmost attention of the helicopter’s pilot and crew,” he added. “We are very positively surprised with the intuitive Helionix cockpit of the H145 and its 4-axis autopilot with auto-hover function. These systems contribute to the helicopter’s high levels of safety in every scenario. At the same time the workload of the crew is reduced, allowing them to safely accomplish their mission even in the harshest of weathers,” Hilgert adds. The rotorcraft is also well-suited for Helicopter Emergency Medical Services (HEMS). “Our rescue helicopters are constantly on stand-by for offshore HEMS. Every unit is staffed with a doctor and an assistant and ready to embark on a mission in a minimum amount of time. The H145 would qualify perfectly for these missions, given that it features tremendous levels of performance and a spacious cabin”, explains Alexander von Plato, Managing Director at WIKING Helicopter Service. 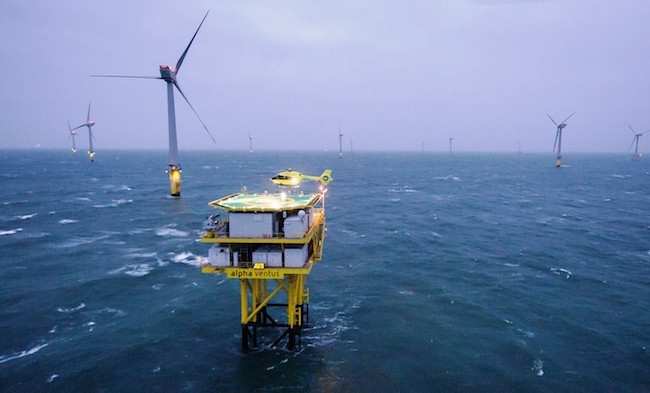 The flight test programme also included other missions such as approaching the wind park alpha ventus in the German Bight, landing on the transformer platform and hoisting technicians onto the offshore wind turbines. All while sustaining winds of up to 50 kts, the H145 delivered a convincing performance.